Machine learning technology can turn an avalanche of unstructured information – images, documents, text, videos, speech – into something with real business value like less down time in the field or on the factory floor, faster sales cycles, happier customers, and yes, greater revenue. To be sure, intelligent machines working in isolated parts of the organization aren’t new. What’s exciting now is how companies are infusing machine intelligence across the business for even greater benefits. 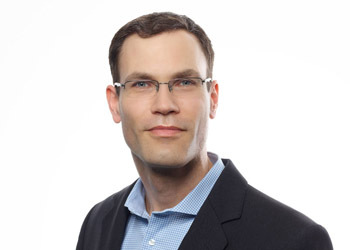 I sat down recently with Dr. Markus Noga, Senior Vice President of Machine Learning at SAP, for his take on machine learning and what people can expect to see at the upcoming SAPPHIRE NOW 2018 event, June 5-7 in Orlando, Florida. A major consumer goods manufacturer is using machine learning to quickly fix broken products. Customers simply send image of their products and machine learning quickly locates parts, speeding up repairs and replacements. A large metals and mining company is using machine learning to help field agents find spare parts for equipment based on pictures taken. Linked to backend SAP systems, the company can make ordering and reordering parts much easier, reducing downtime and costs. A major French telecommunications firm, reduced the length of customer service conversations by 50 percent using chatbots which now fully manage 20 percent of all calls. Thank you for the great article and all the perspectives you are sharing here. 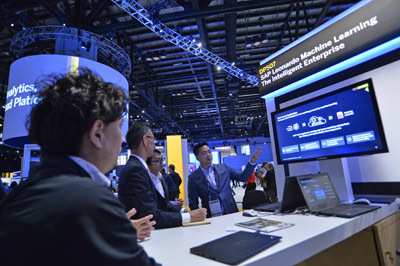 SAP is doing a great job focusing on AI and ML because it is definitely the way forward for people and for enterprises. This week I was likely astonished to see the news presented by Google on their developers’ conference and it helps we all see that the world is definitely going to get a lot more intelligent on the foreseeable future. These are exciting times to work with technology and business.